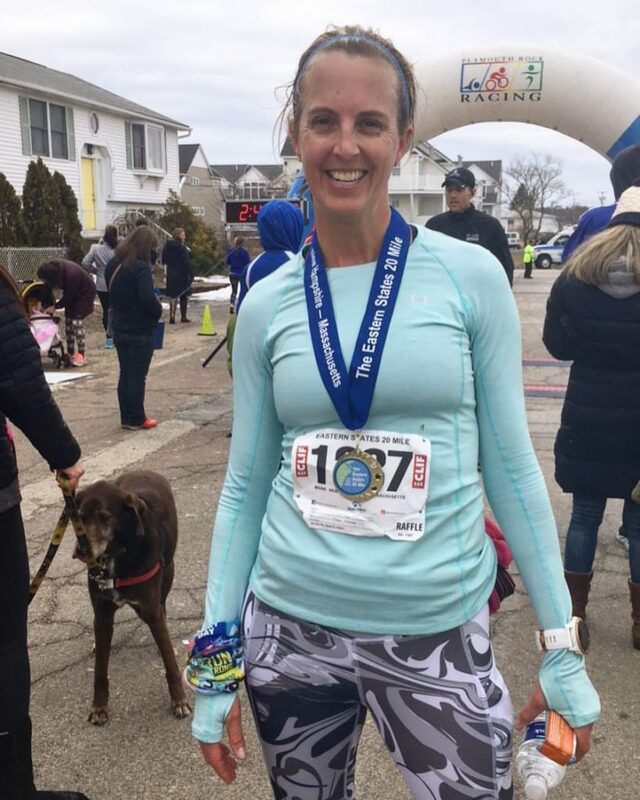 Boston Marathon taper but first, Eastern States 20 Miler! 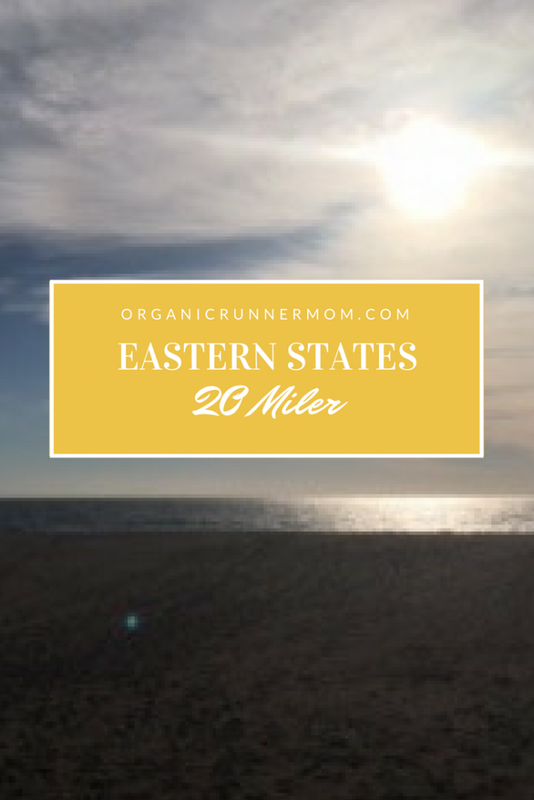 I sat down to write my recap of the Eastern States 20 Miler yesterday but found myself writing about some emotional stuff that had come up recently with Boston on the horizon. If you are interested you can take a look at that post here: Getting Real. 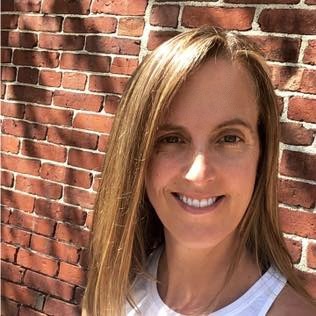 PTSD and the Boston Marathon. It never goes away. I feel so much more open and relaxed after writing that as writing can be a good source of therapy . . . don’t worry I will be checking in with my real therapist too who has helped me to cope and with strategies for managing this. Sunshine at the Ashworth by the Sea in Hampton Beach, NH. Perfect weather for a Boston Marathon Prep race! Now on to the recap! The weekend of the Eastern States 20 Miler started off pretty rocky. First there was me falling apart emotionally during the day on Friday,followed by the worst white knuckle winter weather driving on Friday night, finishing off with my sweet little girl up all night with the tummy bug. I of course kept her company all night and ended up sleeping on her floor. Definitely not ideal with a long run coming up but thankfully I was able to grab a long nap in the morning and my daughter was feeling almost all better once the sun was up. So I napped and rallied and drove to the coast of New Hampshire to Hampton Beach where I was staying for the night. Last year I was thankful to share this race weekend with Run Far Girl but this year she’s getting ready to rock some mountain races. Instead I was solo for the race and had a quiet night to myself. I stayed in the hotel where race finishers would meet up for food and awards after the race, The Ashworth by The Sea, which was especially nice after the race (can you say extended check-out and a hot shower!). That night I went over my race strategy with my coach, the plan to shoot for 8:20 for the second 10 miles with a slower pace for the first half . . .I may have changed the plan a bit when it came to race day . . . oops! I hadn’t been able to get in a good running field test or sets of Yasso 800’s so my coach and I weren’t certain what my splits should be coming into Boston so gave it our best guess. 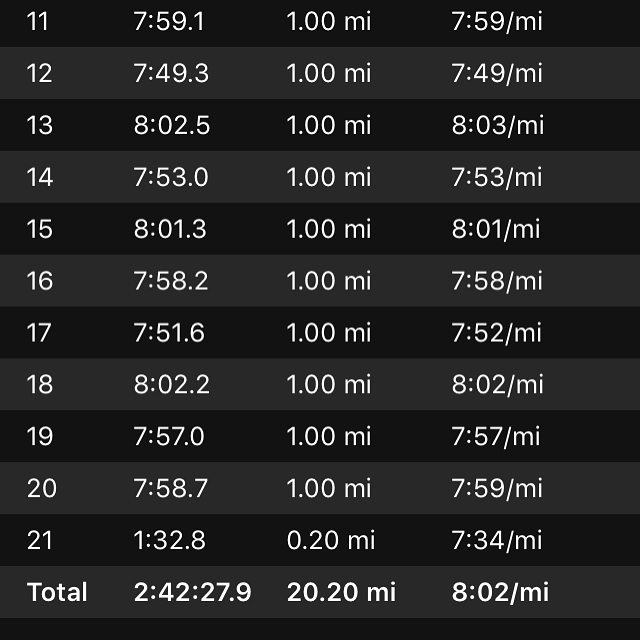 I felt relaxed the night before the race as the pacing seemed very doable and this is a training run for The Boston Marathon, right? Then before bed I binge watched a few episodes Big Little Lies on HBO, my latest TV obsession with Reese Witherspoon and Nicole Kidman. The race didn’t start until 11 so I set my alarm for seven and enjoyed a quiet sleep. 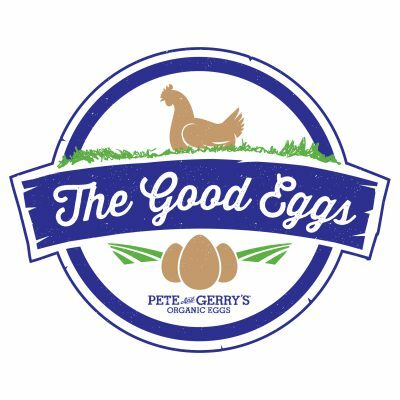 Pre race breakfast. 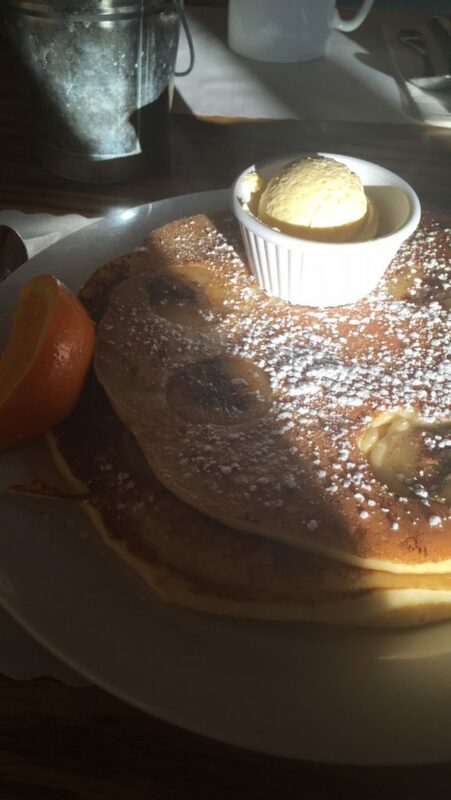 Huge banana pancakes? Yes, please! In the morning it was sunny but chilly, only 16. Cold for race day so I was having trouble deciding what to wear and how many layers. I finally decided on my new Skirt Sports Pocketopia Capris because the pockets on the leg could fit my 5 (yes five) GU energy gel packets and my phone (which I never run without since the Boston Marathon in 2013. The thought of not being able to reach anyone in an emergency freaks me out!). I went down to the hotel restaurant and had a satisfying breakfast of banana pancakes (since I had plenty of time I decided to rock a carb heavy breakfast, crazy I know!?). Then it was a short walk to the buses to the start which was in Kittery, Maine. I rode the bus next to a sweet young woman who was prepping for her first Boston after qualifying at her first marathon. She was so positive and upbeat and had decided to switch from running the half to the 20 at the last minute. I later came to discover from looking at the results that she was the second place finisher woman! Can’t wait to see how she does at the Boston Marathon. When we got there I registered and ran into two Ultra Runners that I know from New Hampshire, Kristina Folcik (DangerGirl) who is getting ready to rock a fast run at Boston and Ryan Welts who will soon be doing run guiding in the White Mountains for RedLine Guiding, definitely check this out if you are looking for some amazing running in New Hampshire with a knowledgeable guide. Before it was time to head to the starting line I ate a banana, took care of pre-race bathroom stops (always important), headed out for a ten minute warm up run to do my pre-race dynamic warm-up (For more info about Dynamic Warm-Ups you can check out my friend Allie’s post, “Dynamic-Warm-ups for Runners.”), then did a little bit of stretching and had timed it perfectly to make that one last just in case bathroom stop before walking to the starting area. I got to the starting line with a couple of minutes to re-tie my shoes (I always like to make sure they are tied just right . . . not too tight as running 20 miles can do weird things to your body and your feet can swell a little bit (Fingers too! I always take my rings off before doing any long distance running.). 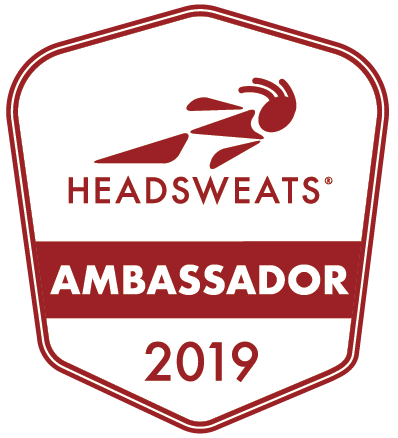 The weather was crisp and cold, 16 degrees when I woke up but had warmed up to the mid thirties with beautiful warm sunshine and there was rumored to be a tailwind on the course. Perfect running weather! Can we order up a day like this for the Boston Marathon please! Ocean views make for a perfect race course! The starting gun went off and I crossed the mat and started my Garmin. I tried to keep my pace easy in the beginning as it can be so easy to get tricked into feeling that you can go for the fast paces in the beginning and not crash and burn later (believe me I have learned my lesson). I wanted to run a smart race to run hard and see what I could do in Boston but to not totally burn my legs out. I never run with music when I am outside but often get a song or two stuck in my head. Today the song that carried me along for a lot of the race was Chained to the Rhythm by Katy Perry which is on my swim and treadmill mix in heavy rotation. 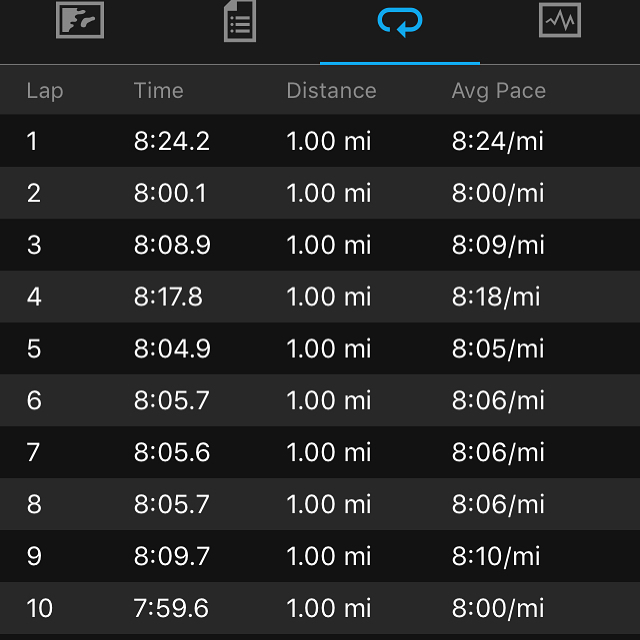 I ran comfortably for the first 10 miles and stuck with groups of people who were running a similar pace. 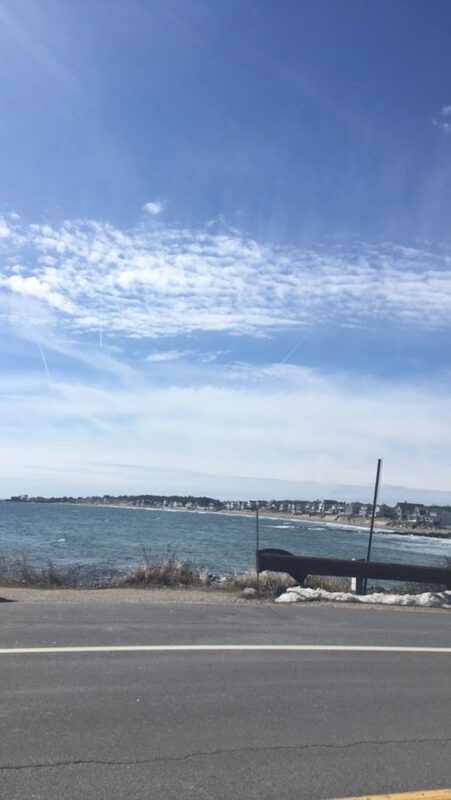 The weather was unbelievably gorgeous and the fact that this race runs along the coast from Maine, through New Hampshire and into Massachusetts helped me to just slip into the meditation of running. This course is generally flat too so it is pretty easy to maintain the same pace along the course. I have learned to focus on people who look relaxed when they are running and try to find that feeling within myself. Halfway? Yes!!! Pacing is going well! 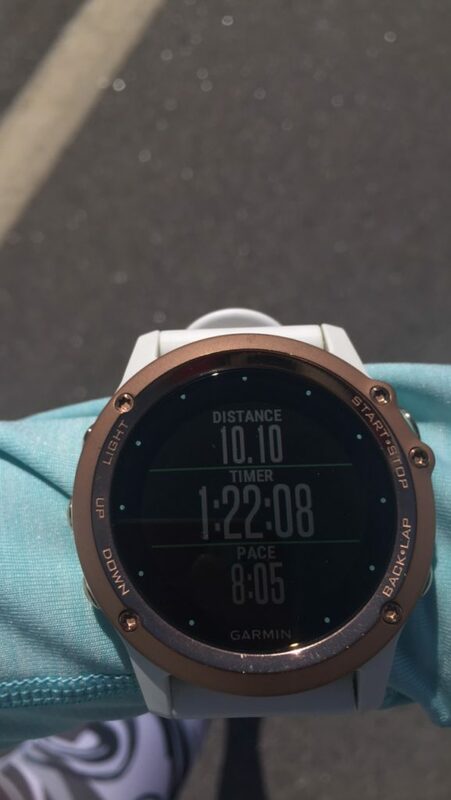 When I hit the 10 mile point my Garmin beeped at 1:22.08. I was feeling great! I had taken 2 GU packs at this point and had been taking in a cup of water and gatorade at every aid station. 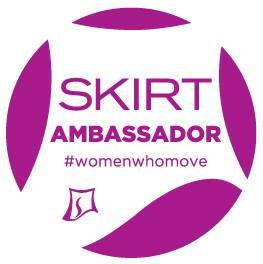 I had been running with a group of 3 other strong women all training for Boston for a mile or so. I decided to quicken my pace a bit to see how it felt. It felt awesome so I went with it and maintained a pace that was sub 8 except for 2 miles (7:49-7:59 min/mile pace) for the last 10! Negative splits baby!!!!!!! 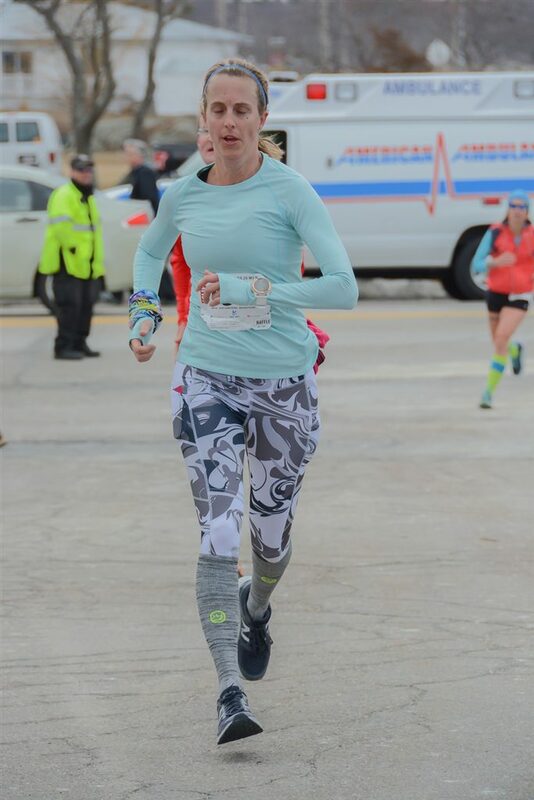 The best marathons that I have ever run have been the ones where I ran like this and this is how I hope to run on Marathon Monday at the Boston Marathon. 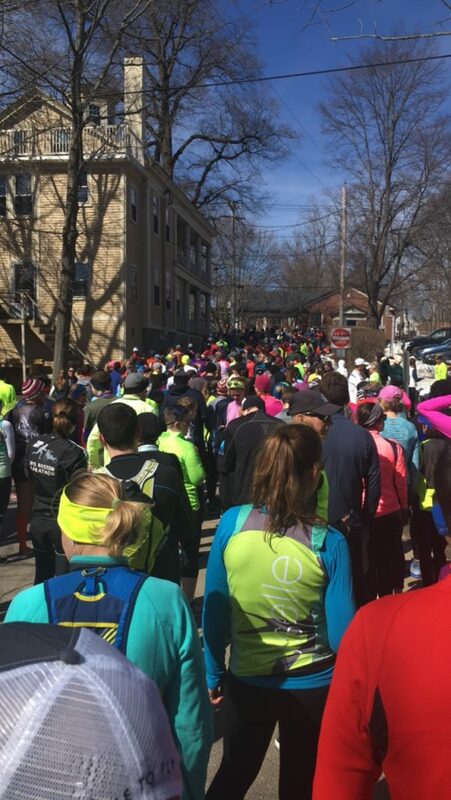 The Boston course is far more difficult to negative split on because of the downhills in the beginning and then the Newton Hills and Heartbreak Hill when you are in the thick of the dreaded harder miles. The last 10 miles were hard but I feel like there is more in the tank for Boston. My finish time was 2:42.27, a finish of 6/89 in my age group 40/49. I was able to pick it up to cross the line. My time was 4 minutes slower than last year but it was a much better run. 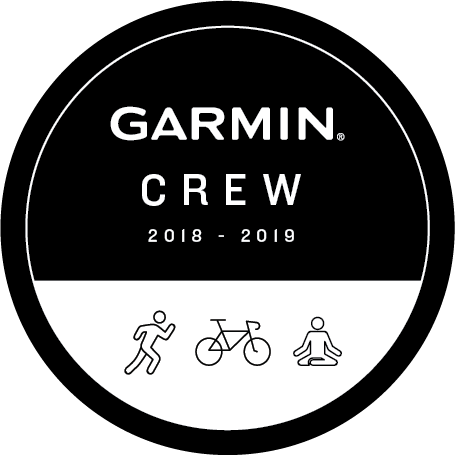 Last year I felt like I was running on the edge of having the wheels come off the whole time and feel like I used up too much too close to Boston. My race on Sunday was smart and I feel very mentally strong after racing it. 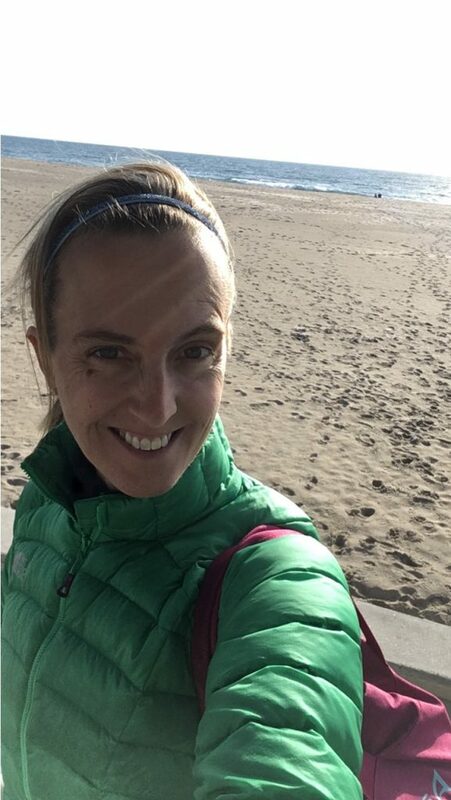 It was fast but I have been recovering well this week with extra sleep and eating well and a lot of rolling and stretching too (Check out my article in Women’s Running–”3 Ways to Train and Stay Injury Free Weeks Before a Race.“). Now the taper is on which means a gradual reduction in training because you don’t want to drop your level of activity too quickly before a race but you also don’t want to do too much, it’s a delicate balance. So this week I have had a mix of spinning, swimming and running including some downhill repeats to get ready for the Boston Marathon course. And for the weekend a 16 miler which will amazingly seem short in comparison to 20 although I may need to be running it in my snow boots since we are supposed to have a snowstorm on Friday into Saturday . . . WHERE IS SPRING?!? So now with the Eastern States 20 Miler and a lot of confidence under my belt it’s onward to the Boston Marathon! Yippee!!!! Let the taper for the Boston Marathon begin! What is your current favorite pump up song? 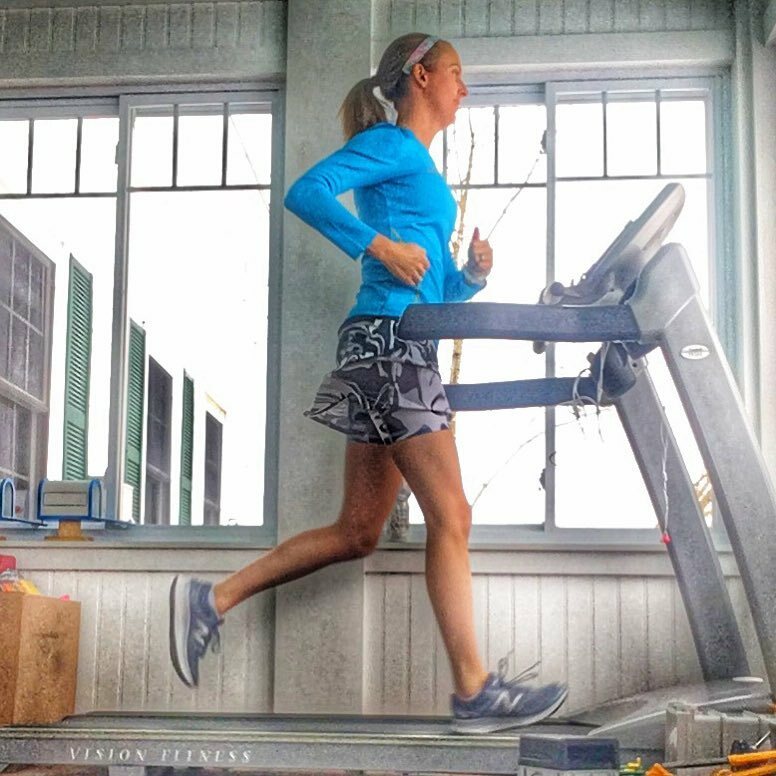 What strategies do you have to get you through a long run or race? Awesome awesome awesome job! And now for taper! I am with you–even though I don’t have PTSD from Boston, I just about never run without my phone. I can count on one, maybe two hands the number of times that I have done it. My husband never takes a phone, and it really bothers me. I’ve talked to him about it, but he just won’t do it.